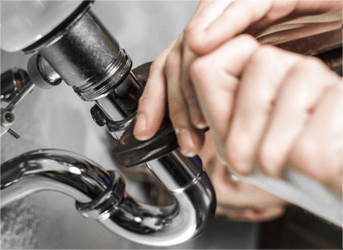 Quality Commercial Plumbing In Belleville MI - Associated Plumbing & Sewer Service, Inc.
For over 50 years, Associated Plumbing & Sewer Service, Inc. has been serving homeowners and businesses of Metro Detroit with local commercial plumbing at affordable prices. Our experienced and friendly technicians are insured, trained and ready to assist with your plumbing repairs, installations, drain cleaning services and more! We provide rough or finished plumbing installations kitchen or bathroom remodeling projects around Belleville MI. Our licensed plumbers and conscientious customer support specialists have experience working with architects, contractors, inspectors, and homeowners within an array of projects. From cleanings to complex inspections to advanced repairs and upgrades, plumbing is usually complicated. Professional commercial plumbing makes the difference between a clean, efficient house and a house with risks and higher bills. Associated Plumbing & Sewer Service, Inc. professionals are trained to work on homes of all sizes and plumbing configurations. Investigation & Diagnosis - We first inspect the source of the problem, determined the issue, then develop a solutions. This ensures that we know what to do before getting to work. Routine Service - Along with fixing problems and installing comprehensive upgrades, the Associated Plumbing & Sewer Service, Inc. team performs inspections and maintenance. This helps us identify and fix symptoms of future problems, lowering your long-term cost and worries. Following your inspection, we advise on how to prevent more problems from starting. We also offer routine cleanings to prevent the accumulation of minerals, grease, and other clogs.